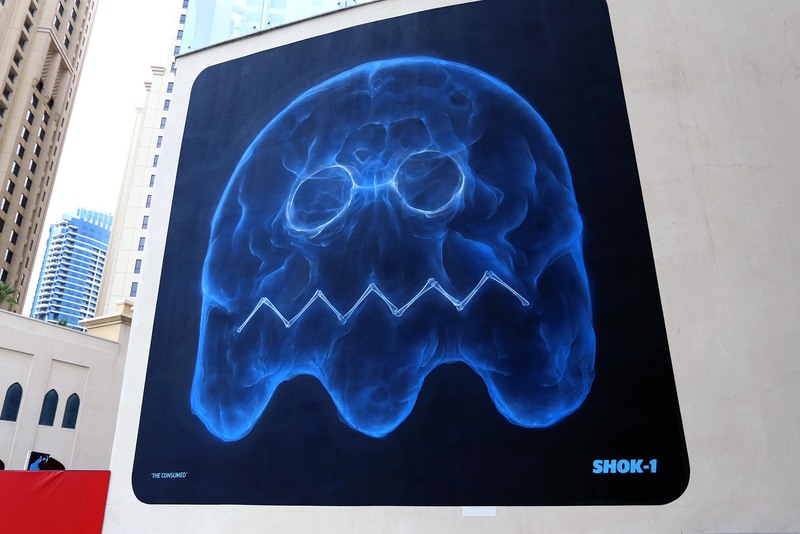 Shok-1 recently visited the United Arab Emirates where he was invited by Dubai Canvas and Brand Dubai to paint in the district of Jumeirah. 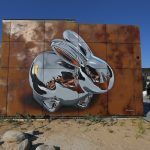 After several days of work, the British artist unveiled a brilliant new piece which is showcasing his unique and always impressive X-Ray style. 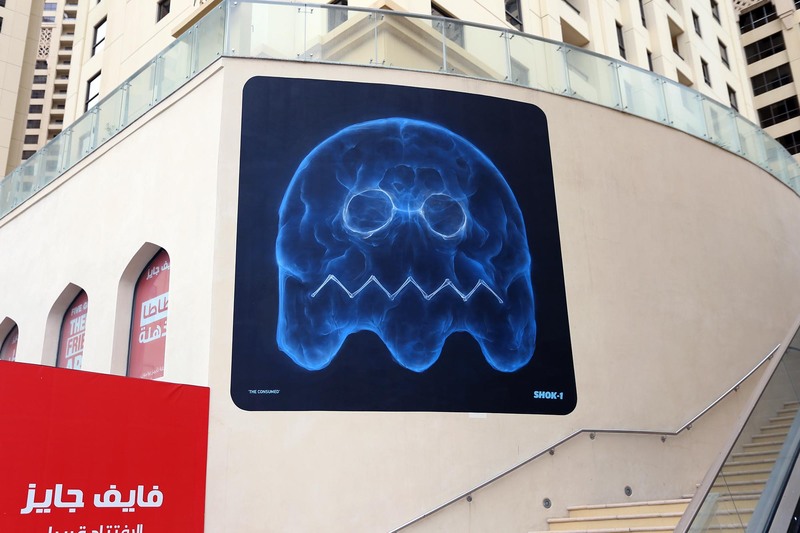 Entitled ‘The Consumed’, the piece shows a human skull morphed into a ghost from the classic video game Pac-man. 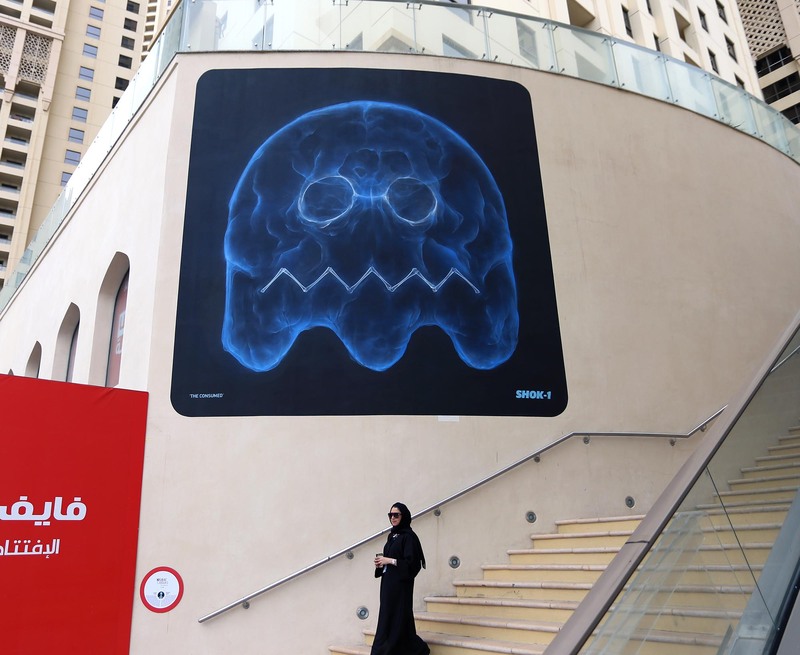 Pac-Man is a legendary arcade video game developed by Namco and first released in Japan on May 22, 1980. 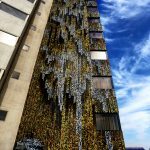 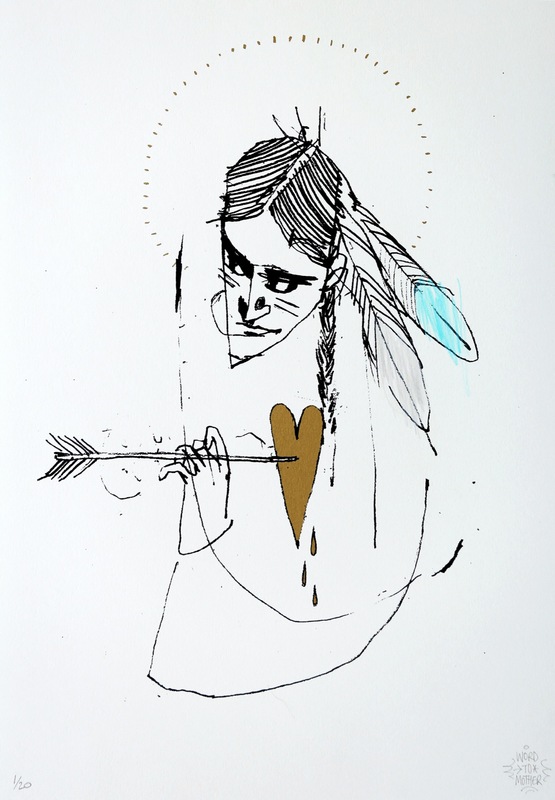 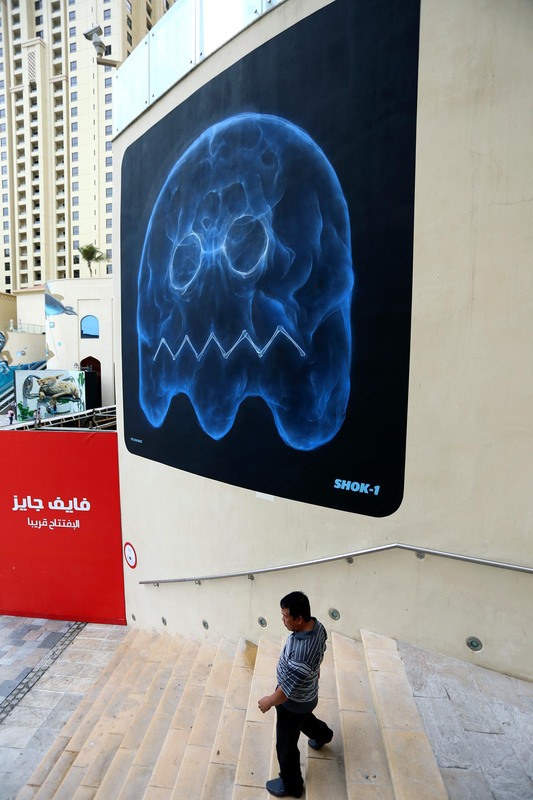 If you stop by Dubai in the coming weeks, you’ll be able to find the piece along the JBR walk. 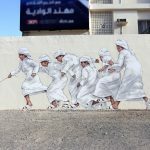 Take a look at more images below and as usual check back with us soon for more fresh updates from the streets of Dubai.